We have seen Diablos, Murcielagos and Gallardos pushed to their limits on the racetracks thanks to German-based Reiter Engineering for more than a decade now, and since 2007, the team scored 199 victories and 350 podium finishes for Sant'Agata's glory. German Modern Lamborghini is a very different company with a client base that demands some factory supported track action. So far, that was called the Blancpain Super Trofeo series, or in other words, the fastest one-make series the world has ever seen. After Europe and Asia, that's coming to the 'States this year, and while it must be more than enough for an average human being, privaters still had to go to Reiter for the full-on experience. They also managed to push down the operating costs of their GT3 FL2 Gallardos to between 9-12 euros per kilometer, which is a great deal when you want to play in the GT3 class. After realizing all the potential in going a step further, Stephan Winkelmann got onboard and signed a minimum five-year partnership with Reiter. The first MY2013 Lamborghini Gallardo GT3 FL2s will be delivered to teams as early as March, who will race them at the Asia Le Mans Series and the Italian GT3 Championship. 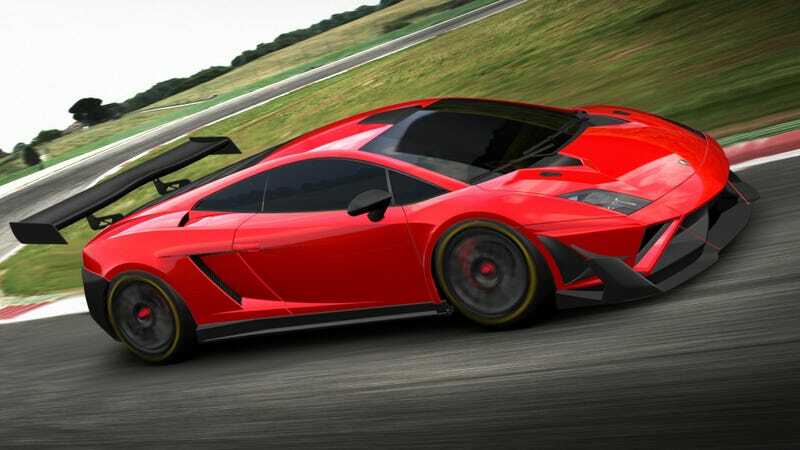 The cars cost €320,000 without taxes, for which buyers will get 55 pounds less Lamborghini than last year, with improved cooling, brakes, fuel consumption and aero package. He has every right to be happy, as Lamborghini's sales just grew by 53% in the USA and 34% in Europe last year, not to mention China. After all, who doesn't want an Aventador?